The Panasonic eneloop range offers ready-to-use rechargeable batteries that have gained popularity due to their greener footprint, and level of quality and reliability. The batteries are used worldwide in both personal and professional settings and are a more cost-effective and environmentally friendly alternative to disposable batteries. Panasonic has made some recent announcements in relation to additional offerings as part of the eneloop range. Further, the company will be launching a campaign to raise money for non-governmental organisations (NGOs) and to spread eneloop’s brand messaging, “A Better Life, a Better World”. The underlying messages highlight preservation of the Earth’s beauty by rethinking how the world consumes products, using rechargeable batteries that are better for the environment and reconnecting with Mother Nature. Panasonic has introduced new durable, reusable packaging for the eneloop range, which is currently only available online. The new packaging, made from recycled PET, is an alternative to the original single-use packaging. This will help to reduce the amount of waste going into landfill. The sturdy new packaging acts as a storage case, useful in the home and office. 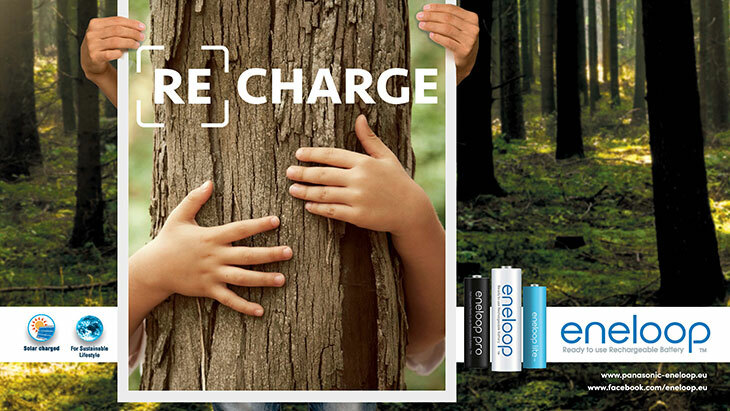 A new pocket-sized USB charger for eneloop batteries was launched last week. The portable CC80 battery charger features two slots for charging two batteries at the same time. Compact and lightweight, the charger is convenient for travellers and those who are constantly on the go.